After bidding adieu to the group who were heading back to India, I took my flight from Auckland to Christchurch and within 1 hour 20 minutes I landed at the garden city of New Zealand. Christchurch which has a population of 350000 is the international gateway to South Island. 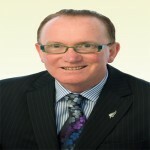 I decided to do the South Island on a seat-in-coach basis and my itinerary of 7 days comprised of visit to Christchurch where I would be spending one night before taking the Tranz Alpine which is rated as one of the top six scenic train journeys in the world and arrive in Greymouth. After Greymouth, I would spend an overnight at Franz Josef Glacier before heading to Queenstown. Thereafter I would be visiting the region of Mount Cook and back again to Christchurch to do a day tour of Kaikoura in North Canterbury before taking my flight back to India. On arrival at Christchurch airport, I made my way to the International Antarctic Centre (IAC) which is walking distance from the airport and on arrival at the domestic terminal, all I had to do is follow the blue “footprints” painted on the pavement to 38 Orchard road. The walk from the airport is for about 8 minutes. The other option is to catch a free shuttle from the airport which takes you directly to the attraction and bookings can be made at “Next Stop Antarctica” which is at the airport’s domestic terminal. The Antarctic Attraction at the International Antarctic Centre is one of Christchurch’s leading attraction and has won several tourism awards. In fact, I would say that a visit to Christchurch is incomplete without a visit to the International Antarctic Centre which is open from 9 am until 5.30 pm in winter and in summer it remains open until 7.00 pm. I spend the next 60 odd minutes at the centre where I learnt a few interesting facts. It is from here that many Antarctic missions are organized and the experience for visitors is filled with fun and excitements and instills a feeling of our commitment towards conservation of the environment. The IAC was opened in 1990 to support Antarctic Scientific Programmes and is home to New Zealand, US and Italian Antarctic Programmes. The tour of the Antarctic Attraction begins in the Four Seasons Room with a 7 minute sound and light show depicting the four seasons of Antarctica. This is followed by a visit to the Scott Base to discover the life on ice thru’ touch screens where current updates are uploaded by staff at Scott Base on a daily basis. Scott Base is New Zealand’s modern Antarctic Station which was opened in 1957 and later rebuilt in 1976. After visiting the interiors of Scott Base , the next stop was at the indoor attraction known as the polar room where I got to experience the Antarctic Storm where the temperature dropped to a chilling -18 degrees celcius. The Snow and Ice Experience is great fun for all age groups and you are given a snow gear that you have to get into before entering the storm room. The gear comprises of warm jackets and overshoes which are provided to all visitors who wish to experience snow and snow storms . After a chilling encounter, it was time for the Little Blue Penguin Encounter – the newest attraction. The Little Blue Penguin is the smallest and most nocturnal of the 18 species of penguins in the world and are found off the shores of South Australia and New Zealand. The Little Blue Penguin is a flightless bird and barely 40 cms in height weighing less than one kg. It was a great experience to see the 26 little blue penguins in a 600 sq metre enclosure backed by comprehensive audio and visual displays – a visual delight for the kids and adults as well. For those who want to have a personal experience can opt for the Penguin Backstage Pass which gives an opportunity to get up close to these wonderful snow creatures. In between it was very interesting to traverse thru various audio visual areas where you learn how Gondwana was split to form land masses around 180 million years ago which we know today as Antarctica, India, Australia and South America. Antarctica, today is the windiest, driest, highest and coldest place on earth and is truly a land of extremes. The indoor tour concluded at the souvenir shop but And within 20 odd minutes I reached Colombo Street to check in at the Copthorne Central Hotel. Christchurch and the region of Canterbury has lots of offer and the city which has the Avon river passing thru is a great place to halt for atleast a couple of nights whether it is to ride a gondola or cable car or experience thereapeutic hot pools at Hanmer Springs, the French settlement on the Banks Peninsula of Akaroa where you can swim with the dolphins or go for whale watching in Kaikoura. 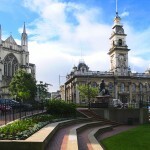 Christchurch is the largest city of South Island and is renowned for its expansive gardens and it is recommended to go Punting in the park on the Avon river. The region itself is laden with activities such as hangliding, mountain biking, bungy jumping, ski-ing, snowboarding, jetboating, white water rafting, skydiving, mountain climbing, paragliding, hot air ballooning, 4 wheel driving, star gazing, wild life cruising, eco touring or even experiencing some Maori Culture. there was more in store as I also had the opportunity to experience the Antarctic Hagglund Ride. The Hagglund is an all-terrain amphibian vehicle used in Antarctica and travels at 3.5 knots in water and even operate in temperatures as low as -40 degrees celcius. On land it can reach a maximum speed of 55 kph. It has caterpillar tracks and is equipped to climb steep and difficult terrain which I experienced in the 15 minute ride which is a must for all visitors who wish to experience the thrill of an exhilarating ride backed by entertaining commentary. Our Hagglund comfortably climbed over mounds which looked highly improbable from a distance and then steeply descended into pools of water which was the perfect finish to a very entertaining and informative tour of the International Antarctic Centre. At the exit of the centre, the coach had arrived on time. The city features some fine grand stone buildings, excellent opportunities for shopping and is home to over 400 bars and restaurants. That evening I dined at the Barcelona Bistro bar which is located at the Corner of Oxford Terrace and Worcester Boulevards. The restaurant offers some fine meals which are simple yet incredibly tasty. Excellent cuisine though a bit pricey with the average meal costing in the range of 35 New Zealand Dollars inclusive of a light main course and a dessert. The following morning, I had an early check-out to take the 8.15 am train from Christchurch station to arrive into Greymouth in about 4 hrs 30 minutes on the Tranz Alpine which is rated as one of the world’s greatest scenic rail journeys which goes from one coast to the other and en route there are spectacular views ranging from river valleys to the magnificent Southern Alps. Rated as one of the top six scenic train journeys in the world, the train traverses the huge and fertile patchwork farmlands of the Canterbury Plains and winds its way over massive viaducts, spectacular river gorges and the stunning Waimakariri River Valley. It tracks its way up and across the Southern Alps via the alpine village of Arthur’s Pass which is located 737 metres above sea level before descending through lush beech forests, Lake Brunner and arriving to the West Coast town of Greymouth located on the Tasman Sea. It is highly recommended for honeymooners as well as those who wish to experience stunning scenery. The total journey of 223 kilometres crosses 16 tunnels and 5 viaducts reaches Greymouth in time to continue your onward journey on the same day to the Glacier Region. Greymouth is situated at the mouth of the Grey River and is the largest town on the West Coast. The area offers a wide range of outdoor experiences including quad bike and 4 x 4 off road, mountain biking, river and cave rafting, canoeing, caving, climbing and scenic flights. On arrival at Greymouth after one of the finest rail journeys that I have ever taken, we drove south and within 40 minutes arrived at Hokitika for a lunch stop. Located by the Tasman sea, at the mouth of the Hokitika River, the town has a vibrant artisan community with a population of only 3500. The region has diverse raw materials such as jade, gold and minerals and Besides grabbing a sandwich, I had ample time to visit the Hokitika Jade Factory which houses one of New Zealand’s largest range of quality and affordable Jade as well as the Pounamu carvings and sculptures on display. From hand carved pendants, jade jewellery to Ornaments and tumbled stones, you find a wide variety of Jade products. Hokitika has become internationally renowned as a centre of creative arts and is home to the annual Wildfoods Festival. It was once the largest town on the West Coast during the gold rush boom of the 1860s. Today the town is well known for coal, tourism and timber besides the Jade Factory which is a must visit for all visitors. After a short transit stop, we boarded the bus to head to the Glacier Region comprising of the Franz Josef and the Fox Glacier and under 3 hours we were at Franz Josef after travelling south from Ross – a city which is 27 kilometres from Hokitika and the place where the largest gold nugget was found in NZ – a massive 3.1 kgs. The Glacier Country attracts over 300000 visitors a year and comprises of glaciers which are active remnants of the ice age, from the vast snowfields of the Southern Alps just 300 metres above sea level. The Franz Josef and Fox Glaciers are ideal bases for glacier explorations – from air safaris to heli-hikes and quad biking. You can even take tours for kayaking or horse back riding. After checking-in at the Scenic Circle Hotel which is located on the edge of the Westland World Heritage Park, I walked across the hotel property to book the Twin Glacier Helicopter Ride with The Helicopter Line. The 30 minute rides takes you over the head of Franz Josef and Fox Glacier and we did a helicopter landing on the Franz Josef Glacier to get an incredible view of the masses of ice and snow glowing against the setting sun. The experience is highly recommended, although it is subject to weather conditions. I would have loved to do the Glacier Walk for which you need atleast 3 to 6 hours and to do that you need to stay atleast two nights in the Glacier Region. In my case, I checked out after breakfast on the following day and after crossing Fox Glacier which is 20 kilometers from Franz Josef and the Haast Pass which is the lowest crossing over the Southern Alps, we headed to Queenstown where we arrived in 4 hours time from Fox Glacier to explore the adventure capital of the world and one of the most beautiful towns located in South Island. 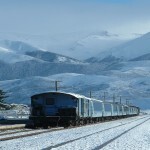 The TranzAlpine journey was one of the most incredible and picturesque trips that I have ever experienced! To view the staggering beauty and diversity of New Zealand’s landscape from the comfort of this train was an excellent experience. I did a similar route by car and really enjoyed both trips, in fact, I’ve written an article comparing the two transport options and the benefits of doing each one.